Our leaders understand that how we work matters just as much as the work we do. They know that Asurion’s success is dependent upon its employees. Because of that, employee engagement and employee empowerment are a huge part of our company’s culture. One aspect of that culture is volunteerism. From our executive leaders to our tech experts, our goal is the same — make an impact in the communities that we call home. A decade ago, we created a program dedicated to helping employees and the communities where we live called Compassion Forward. The mission is simple: celebrate and encourage community involvement by our employees through volunteerism. 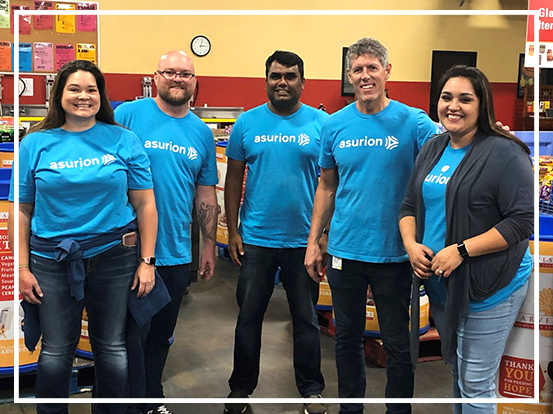 Compassion Forward highlights what is truly great about Asurion — our employees coming together to tackle challenges as a team. We know our employees’ days are packed with helping our customers stay connected, but we also know helping out in our communities is just as important. Throughout the year, we offer volunteer opportunities and encourage employees to give back during the work day. Creating opportunities to make a difference in the community helps our employees feel more invested in the company, boosts employee morale and improves our overall working environment. 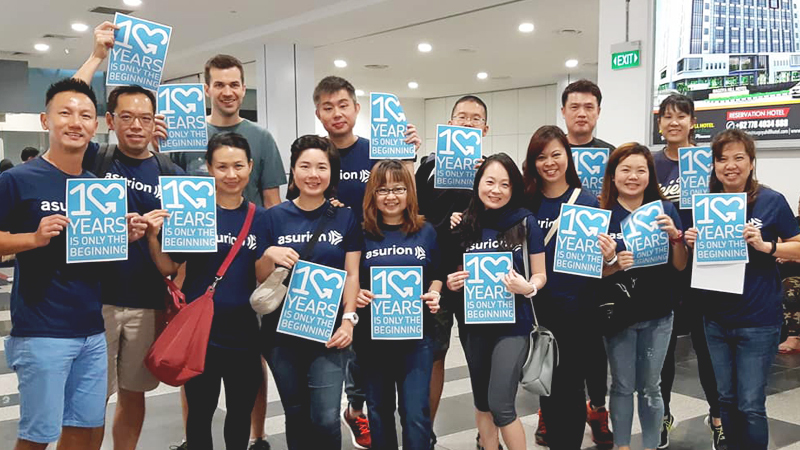 In fact, nearly 90% of our employees say they feel good about the ways Asurion contributes to the community. In 2018, we celebrated Compassion Forward’s 10th birthday by offering volunteer opportunities to our employees during our Week of Compassion. From Orlando, Florida at the Boys and Girls Club; to the Samaritan House in San Mateo, California; to serving the homeless in New Brunswick, Canada, our team stepped up in a big way. More than a dozen sites across Asurion logged over 1,500 service hours. While our company is spread out all over the globe, we strive to create an environment where every employee feels valued and believes their talents contribute to our overall company goals. Taking time to recognize the needs of our communities and acting on them is just one way we will continue to reach for our full potential. At Asurion, we are one team.